Please assist in our problem as we need to do another run today. Here is Peter Lin, answering your mail. First, your laminate heating cycle data is correct. Second, but the result shows the temperature of glass is not even. the middle and rear of the tray is more heat energy than the panels closest to the door. 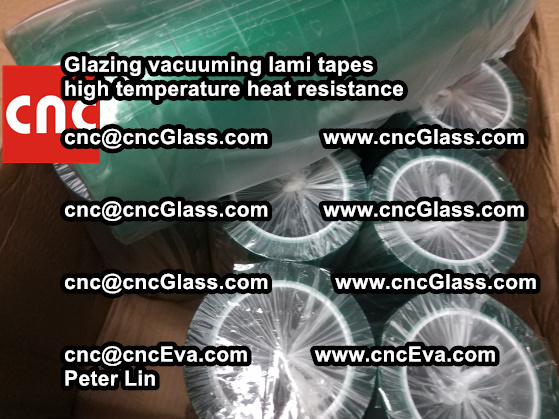 So the hazy parts of the laminated glass did not absorb enough heat energy. 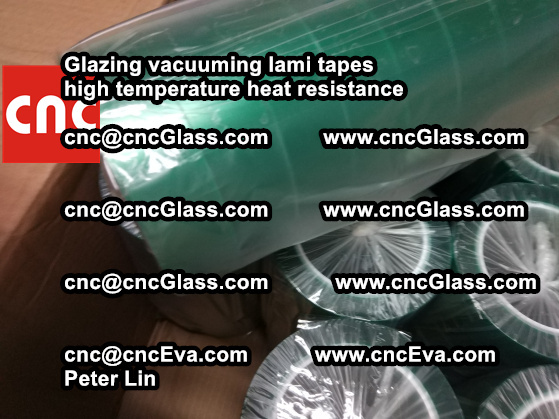 Forth, the long term solution is that you check with your machine supplier, let them check the laminating machine, make sure heat in the oven is even, and the lamianted glass is heated at the same temperature in all places. The run time of 90mins worked and cleared the haze. Many Thanks for your help. 4, REHEAT CAN ONLY BE DONE IN ONE TIME! It’s important to note that, the reheat process can only be done in one time, the second time of reheat won’t work in most of situation. So you need make full use of the first time of reheat. 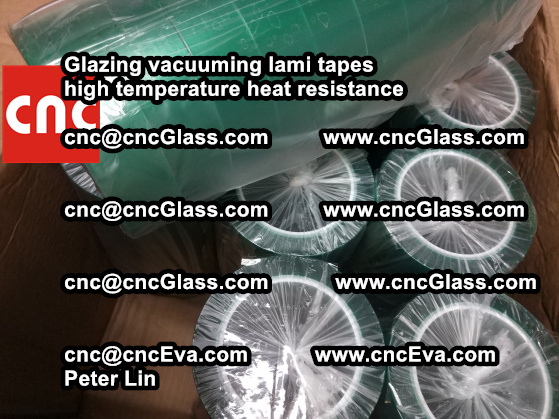 When you set the data of the reheat, most of situations, the temperature can not be higher than 130C degrees, but you may need to prolong the heating time, make sure this time of reheating, the laminated glass will absorb enough heat energy to finish the reaction, and clean the haze. Sometimes, solutions varys depending on situations. 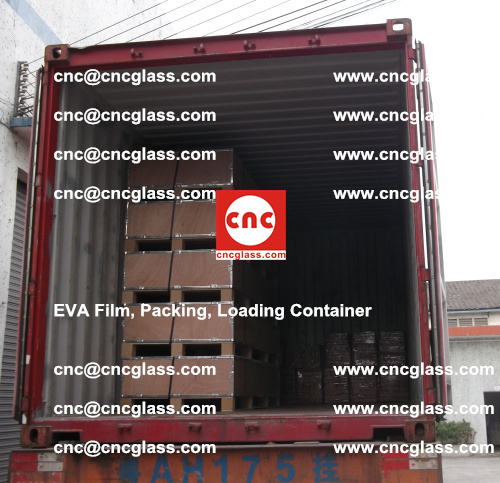 So remmeber to contact us, PETER LIN, cnc@cncglass.com, if you have doubts of eva glass lamination, you are always welcome, even though, you are not using our EVAFORCE interlayer film. 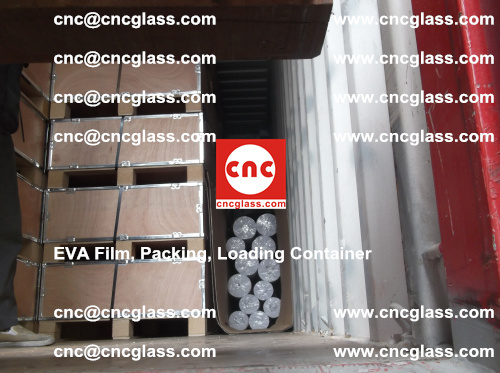 Thanks very much for your reading, and be interested in CNCGLASS.COM products. Best reagrds from Peter Lin always. 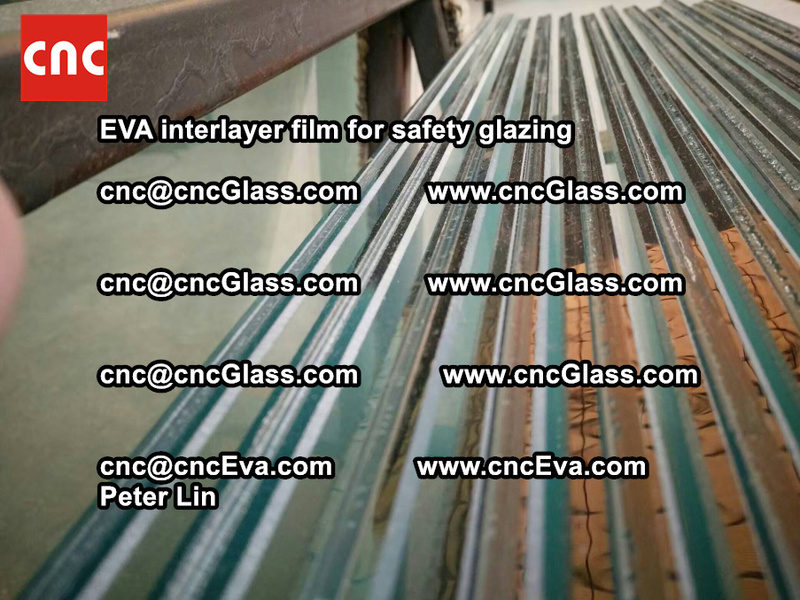 E*** EVA REISN is an extrudable random copolymer of ethylene vinyl acetate for photovoltaic encapsulant application. 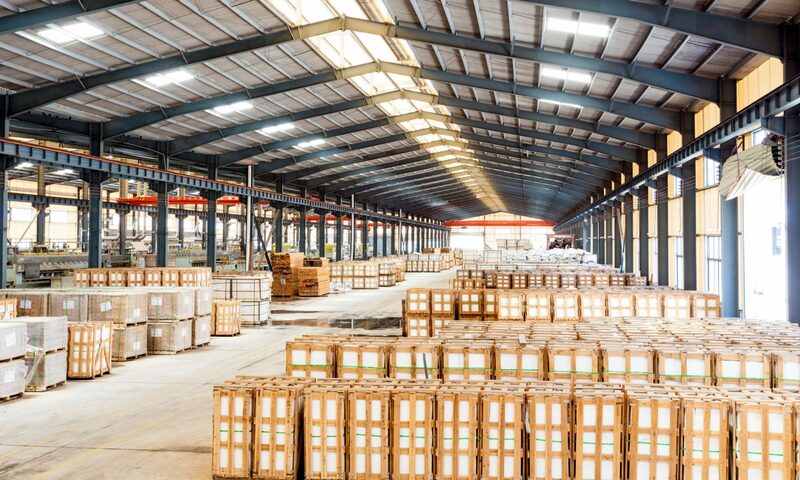 This grade is designed for extrusion/calendering sheet over a wide range of line speed and sheet thickness. 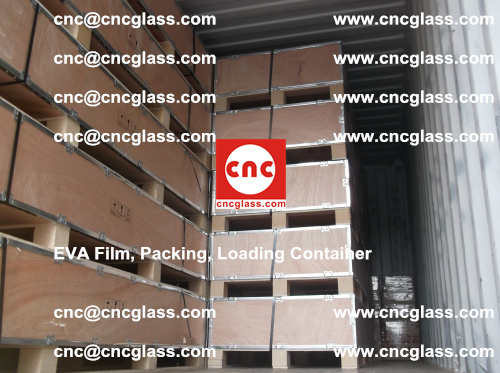 Due to the fact that E*** is produced with tubular process, it provides good transparency, low gels, and excellent adhesion while allowing for the production of sheet that has high dimensional-stability through cross-linking formulation. Does anyone have advice or an efficient method to cleaning SGP once it comes out of the autoclave? Besides heat guns and razor blades, what are the best tools to clean this material? No, at the moment, we don’t find any better method.